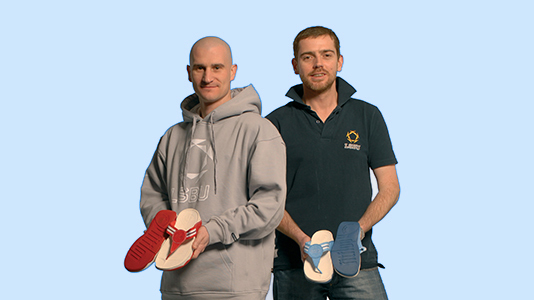 Based on established scientific expertise in biomechanics of barefoot and shod human walking, the research work of Dr Dave Cook and Dr Darren James has provided scientific underpinning to the creation, investigation and development of the highly successful recreational footwear FitFlop™ with impact on the orthopaedic and health footwear industry. 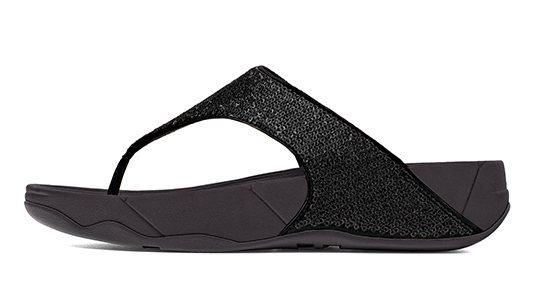 The innovative nature of the Microwobbleboard™ technology incorporated into the footwear has been acknowledged in a patent, recognising the LSBU team as the lead researchers behind the concept. The shoe is now sold in 22 countries. Start-up company Actegy™ Health had an innovative new product to improve blood circulation and oxygenation in lower limb muscles. They reached out to Dr Paul Sumners and Dr Katya Mileva to undertake the scientific research needed to support their technology claims. 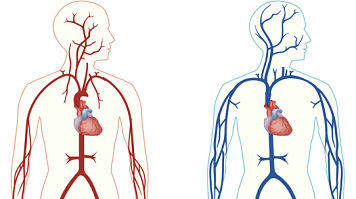 Research trials performed at the Sports and Exercise Science Research Centre (SESRC) demonstrated that independent of age, healthy individuals who have regular periods of inactivity due to employment conditions or lifestyle as well as patients with peripheral circulatory deficiencies will benefit from this supplementary therapy. SESRC’s research gave Actegy™ a unique selling point in a crowded market: scientific credibility. The HPC team conducted a study of the effects of drinking CherryActive juice on recovery time after exercise. CherryActive contains high levels of antioxidants and flavonoids, which are able to quench free radicals and potentially reduce oxidative damage that occurs as a result of intensive exercise. The research, funded by Innovate UK showed that CherryActive significantly improves muscle recovery time after strenuous exercise and may also help alleviate muscle soreness. This research received wide publicity in the media after being published as a full paper in a highly reputable scientific journal. CherryActive is now regularly used by several premiership and international rugby teams, premier football teams (based in London and Manchester), the British Cycling squad, the Lawn Tennis Association, top Mix Martial Arts and many other international athletes. Vibration as a stimulus for muscles has been used routinely in the research laboratories at LSBU, but Aerosure is the first application of this principle to specifically target the respiratory system. The device uses a motorised valve to provide short periods of resistance to breathing, stimulating the required muscles and nerves to get stronger. 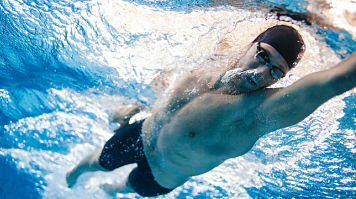 Training of this type increases gas exchange, reduces breathlessness and increases performance. Users such as elite sports people through to asthmatics have reported great benefit of regular Aerosure use. LSBU researchers have also shown that the Aerosure can increase acute respiratory neural drive and increase peak inspiratory flow. Joanna Hall created 'Walkactive' in 2008, a technique that improves posture and promotes weight loss. Participants walked taller following the 28-day plan as a result of improved posture and skeletal alignment. LSBU has had a long and valuable relationship with The Altitude Centre, the UK's number 1 altitude training specialist, running a series of research projects to design, test and validate their hypoxic training protocols, and define what levels of hypoxia are ideal for optimising individual performance. This research has helped the Altitude Centre to become a world leader in hypoxic training consultancy services and equipment, with their UK clients alone winning 8 Golds, 2 Silvers, and 1 Bronze in the Beijing Olympics. This research relationship continues with a project currently underway to demonstrate the clinical and applied value of hypoxic training as an innovative therapeutic strategy for weight loss. Scientists from the HPC team are collaborating with Lambeth council and a range of local physical activity provider on the funded by Sport England project ‘This Girl Can Lambeth’. This three-year programme aims to engage with over 5,000 young girls aged 14-25 and investigate how their health, attitudes and behaviours change as a result of being involved in a physical activity program of their choice. The research aims to create and implement a comprehensive evaluation strategy for physical promotion initiatives compliant with the NESTA standard of evidence for impact in the social sector. LSBU’s Human Performance Centre (HPC) is proud to have collaborated on a number of different projects with Silverfit, a local charity that encourages wellbeing and fitness in the over 45s. 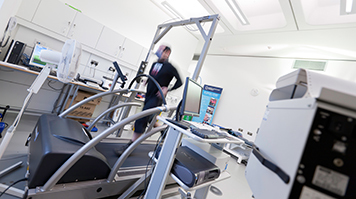 The support provided by LSBU takes many forms - from research studies looking at how walking patterns change as we age, to evaluations and coaching support for the sessions delivered by LSBU’s Academy of Sport. 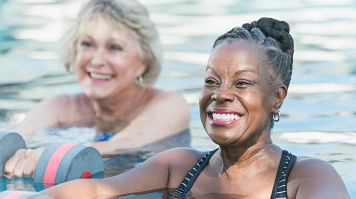 A new piece of collaborative research is set to explore how different types of physical activity can offset the mental and cognitive decline associated with ageing. A new joint venture between the HPC and Ice Health Cryotherapy Ltd aims to scientifically investigate the potential health benefits from cryo-shaping therapy. 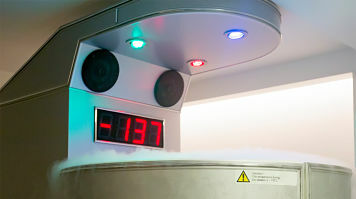 Cryostimulation involves controlled short-term application of nitrogen vapours to the skin surface to induce extreme cooling of the subcutaneous tissue. In a prospective cohort study Dr Lisa Zaidell and Dr Katya Mileva are investigating whether this intervention could lead to health benefits via cold-induced adipocyte apoptosis and stimulation of the local blood flow.